Be sure to check out the environmental health section of our web page! It’s still in beginning stages but there is a lot of good information and even photos of different kinds of installed systems on there. As always, if you have any questions call 641-223-8299. Clarke County Public Health will be hosting the event: Preventing Cancer, One Shot at a Time on October 18, 2016. The event will be held at the Clarke Community High School Auditorium at 6pm. 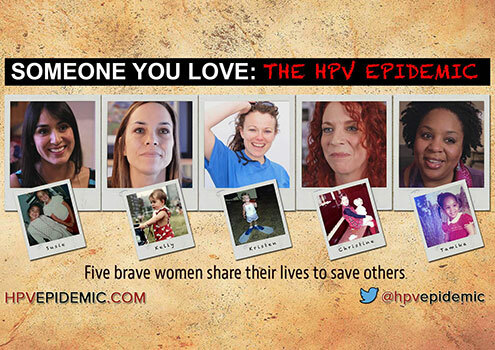 The documentary “Someone You Love: the HPV Epidemic” will be shown to all participants. There is no cost to attend the screening, 11 years+ are encouraged to attend, a light meal and CEUs will be provided. If you are interested in attending for CEU purposes, RSVP to Clarke County Public Health at 641-342-3724 or email the Health Educator at clarkehe@mediacombb.net. “Someone You Love: The HPV Epidemic” is a feature length in-depth documentary of the stories and struggle, tragedy and triumph surrounding this complicated and often misunderstood infection. Women are living with (and dying from) HPV related cancers every single day. This documentary lifts the veil and reveals some of the faces of HPV and sheds lights on the risks, myths, problems, politics, misconceptions and hard truths about this widespread epidemic. This program is made possible by Iowa Cancer Consortium and the Iowa Department of Public Health. The information provided at this CME activity is for continuing education purposes only and is not meant to substitute for the independent medical judgment of a healthcare provider relative to diagnostic and treatment options of a specific patient’s medical condition. The content of each presentation does not necessarily reflect the views of Des Moines University. Make sure to REAPPLY your sunscreen EVERY 2 hours to avoid getting burnt. This will protect you from skin cancer in your future. It is recommended to use an SPF of at least 30 or higher for best protection as long as you are reapplying the sunscreen every 2 hours. Look for the “broad spectrum” on your sunscreen label to protect you from both UVA and UVB rays.